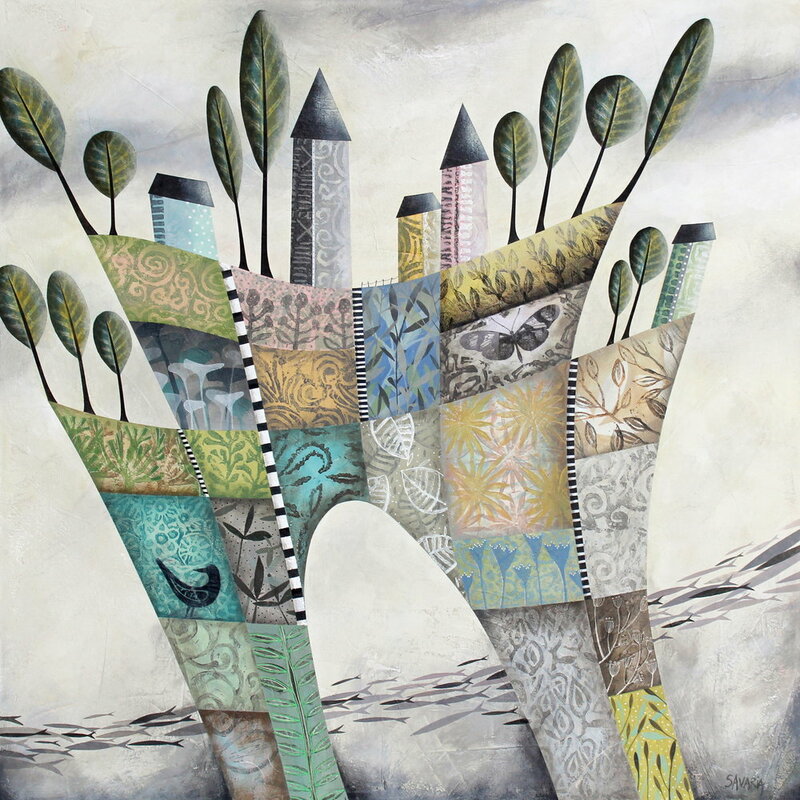 Formally trained as a graphic designer in Montréal, Josee subsequently discovered the tremendous liberation found in expressing her imagination and projecting her unique whimsical imagery on surfaces using the power of texture and colours. 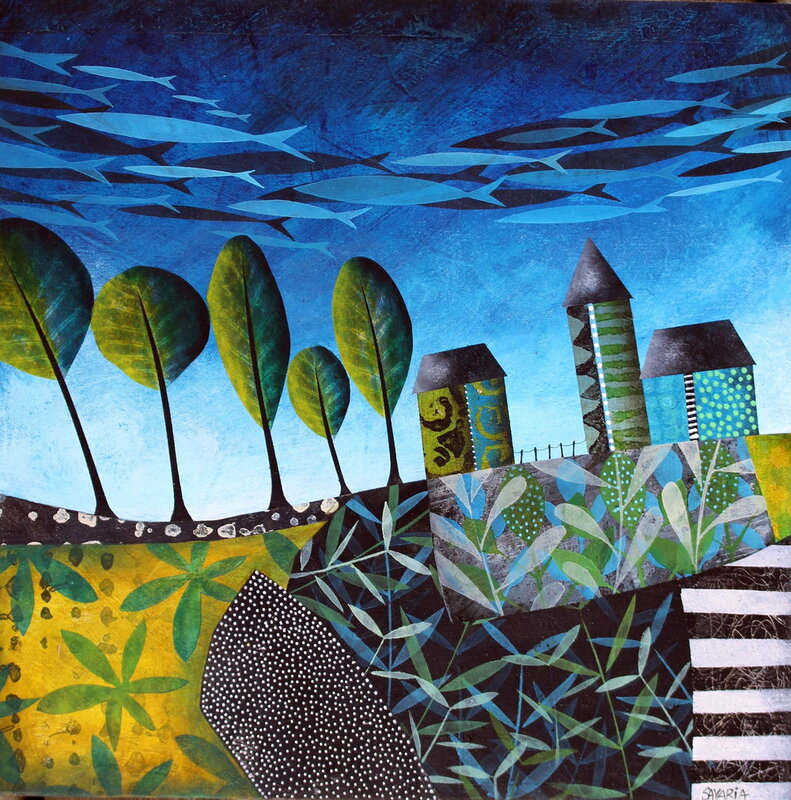 Over the years, she has explored various types and styles of artistic expression before discovering the art form that provides her with a more complete creative outlet: Mixed Media Art. Josee is particularly captivated by marine life and her art is influenced by the endless variety of form and function found in the creatures that inhabit our blue planet: turtles, seahorses, starfish, fish... Josee endeavours to vividly portray the sea and its creatures. The end results are fanciful, stylized and vibrant ocean views presented as landscapes and seascapes: the dynamic edge where the terrestrial world meets the marine. Josee's works are currently held in corporate and private collections around the world, including Europe, Austral-Asia, Japan, and South and North America.